In the past year, President Trump has cut almost $1 billion in funding to the United Nations and foreign countries. For years, Conservatives have promised to cut funding to the UN and international aid programs and for years, they've decided to abandon those promises and give away even more taxpayer dollars. Trump has changed all that and cut more than every other President combined! Republicans and Democrats are furious and secretly working right now to restore every cent of international aid and UN funding that Trump has cut. Send your instant message to Congress -- right below -- and ORDER them to kill any and all attempts to restore the UN funding that Trump cut off! 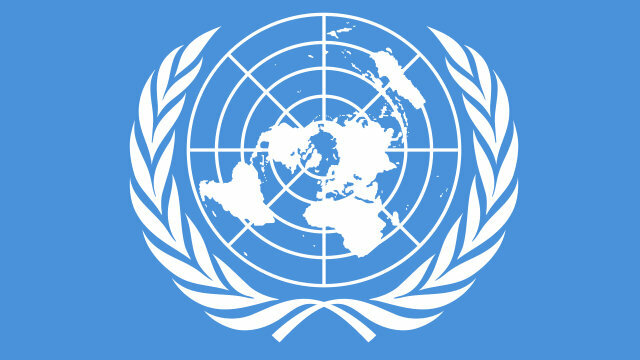 In the past year, President Trump has cut close to a billion dollars in aid to the United Nations and anti-American foreign countries. Every President has promised to be good stewards of American tax dollars. They all lied. Republicans and Democrats alike have only increased this funding to anti-American interests. Trump has ended that cycle. Just this month, President Trump cut off $350 million in funding to the United Nations. All across the world, the Trump administration is cutting off funds to countries and international organizations that seek to undermine our sovereignty and our interests. Right now, Congressional leaders are negotiating behind closed doors on a minibus bill to fund the government for the next year. That includes an appropriations package to fund the State Department, which then disburses these funds to the United Nations and foreign aid programs. They are poised to pull the rug out from under the President and restore all of the funding that Trump cut. Not just the $350 that Trump cut from the UNRWA. They want to restore all of it, including the billions that Obama promised to the United Nations' Climate Change Treaty. I am demanding that you halt this in its tracks. Congress is currently debating how much funding to give to the United Nations and this country's enemies. President Trump promised to cut this spending and he is fulfilling that promise. It is YOUR job to help him finish that. That is what I am demanding of you. Do not let the leadership restore this aid funding. If you want me to support you, then you need to support the President's America First agenda and make these funding cuts permanent!